Residential turns and rehabs are part of an ongoing tenant experience. When renters move out, it’s up to property managers to ensure building units and rental homes are cleaned and maintained, and ready to welcome new residents. At SMS Assist, we work with residential property managers to ensure rental units are in move-in ready condition. 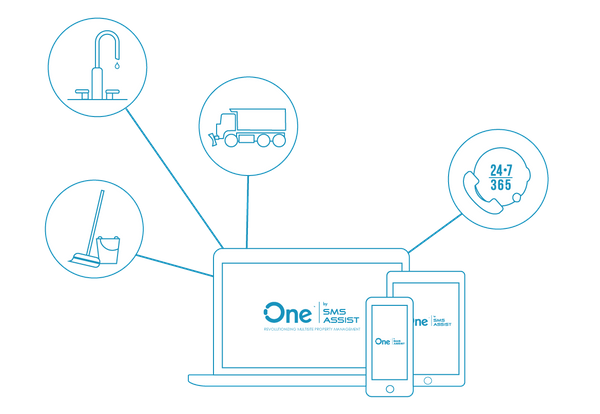 Our proprietary platform, One by SMS Assist, helps property managers reduce the costs of turns, rehabs and maintenance by outsourcing these responsibilities to a network of highly experienced maintenance professionals. Residential property owners and investors need tools and strategies to streamline turns and rehabs processes without driving up operating costs. That’s where SMS Assist comes in. Residential property managers using our technology have access to thousands of contractors, known in the SMS Assist network as Affiliates. These Affiliates are skilled, knowledgeable experts that take on property turn and rehab responsibilities. while improving service performance, reducing inefficiencies and improving quality. Residential property managers have complete visibility into turns, rehabs and maintenance operations from initial work order to project completion. An in-house team of operations specialists ensure vendor quality by sending the most adept professionals to handle maintenance requests. SMS Assist’s unique business model helps clients save significantly on operating costs by eliminating unnecessary work orders and back-office costs, leading to more long-term cost savings. We manage maintenance operation flow from work order creation to vendor payment, freeing property managers to focus on residents. SMS Assist’s indemnification policy is backed by $50 million in insurance, protecting all parties from maintenance-related claims. Turns and rehabs, made simple. Get started with SMS Assist today.